Thursdays in July and August, 6:00-7:15pm. Breathe deep as you relax and take in the fresh air and mountain views. Join Jacqui as you unwind from your day and reconnect with yourself in this beautiful outdoor setting. 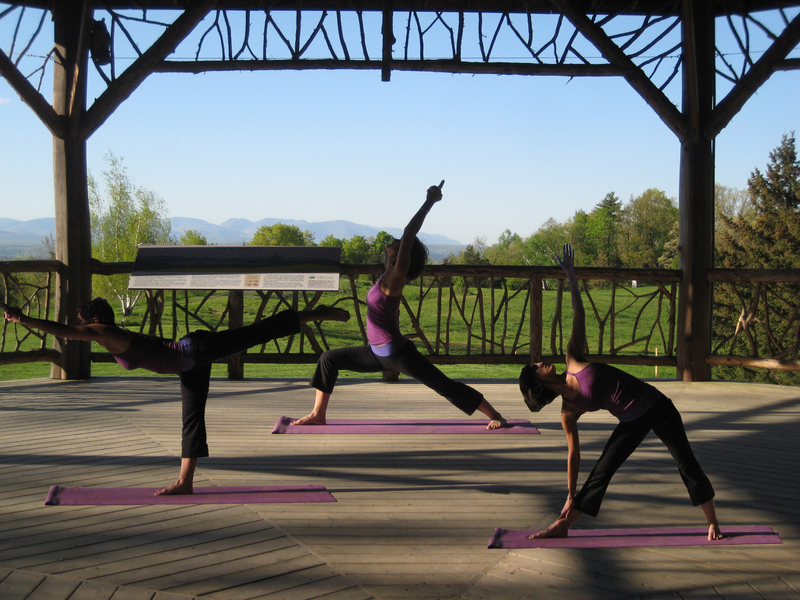 The series will focus on Vinyasa Yoga for beginner and intermediate students. Sign up for individual classes or the full series. Bring your own mat and water. Rain or Shine. Please arrive 15 minutes early to set-up, so the class can start promptly at 6pm. Reservations are required. Call 845-255-0919 for reservations and program location. The fee per person: Mohonk Preserve members $75 for the series (9 classes), $10 per class; non-members $100 for the series (9 classes), $12 per class. Payment is required at the time of registration.